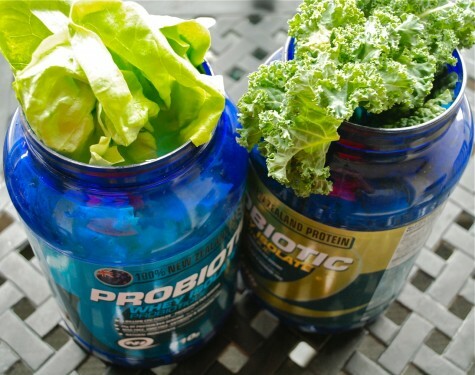 Protein tubs for vegetable storage? At StrengthBox, we’re big on strategies. And while we provide plenty of training strategies in the gym, people sometime struggle when it comes to shopping, meal planning and eating. If we don’t have a strategy in place, nutrition quickly goes off the rails. There are some great support tools that you can use in your food preparation ritual. Many of us shop once a week, and take advantage of local resources (farmer’s markets, organic delivery services, butchers, etc) to ensure we’re always stocked with quality food. The key is to prep and store that food so that you can assemble meals easily. If you use protein powder in shakes, why not consider using the leftover tubs for food storage? Made from food-grade plastic, they’re the perfect size for storing bunches of kale, spinach, lettuce, stalks of asparagus … even broccoli or cauliflower florets. The trick is to make sure all produce is fairly dry before closing the lids and placing them in the fridge. If you get your produce weekly, try and prepare as much as possible when you get things home. Carefully wash everything, and trim or cut any vegetables as required. Dry your greens by blotting them well between kitchen towels (spread the greens in a single layer and roll them up into a bundle) or by using a salad spinner. Clean, dry greens and other vegetables will stay fresh for several days, even up to a week if stored in this manner. 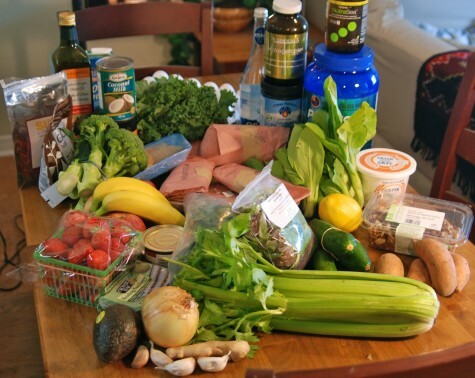 Armed with this food preparation strategy, you’ll be ready to rock your nutrition!